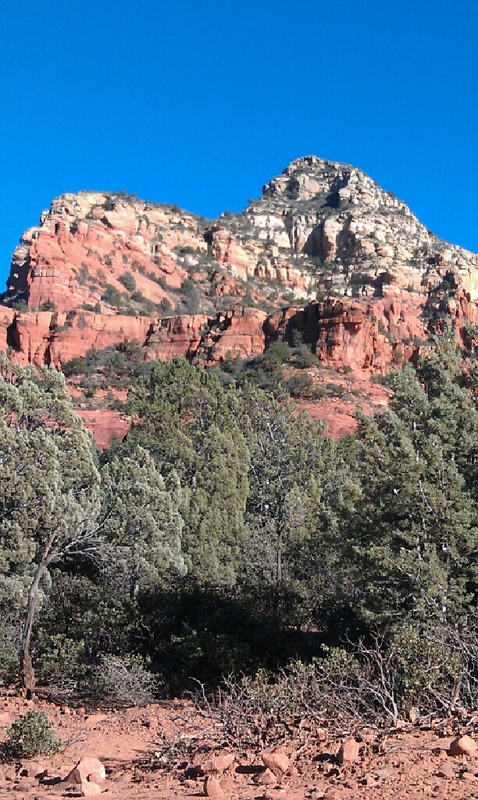 So for now, I’d like to tell you about a little place called Assspen Sedona. I was going through pictures a few weeks ago, and came across our trip to Arizona. 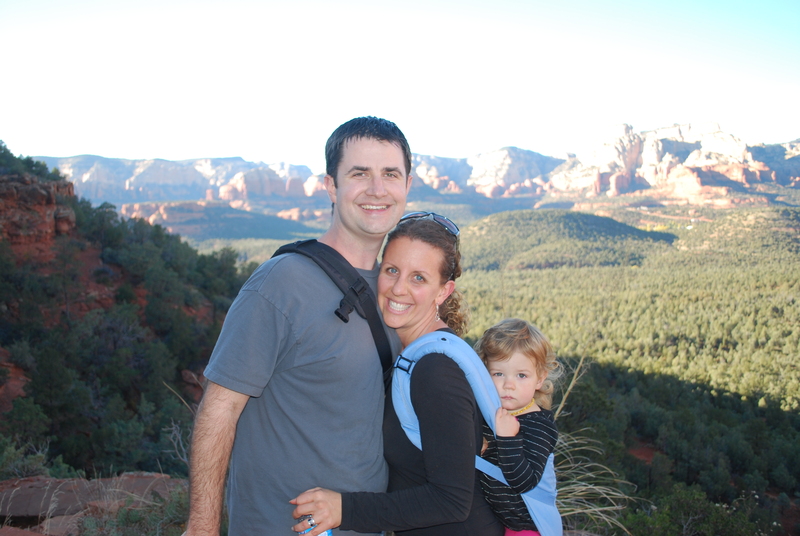 The three of us went there for Thanksgiving and ended up staying for the entire week. It was a much needed break and I thoroughly enjoyed spending that much time with my hubby! We went to see Josh’s mom, and boy did she have huge plans for us. We usually just hang out (which I’m not used to doing), it’s nice and all, but this time she wanted us to see the sights, and that we did. 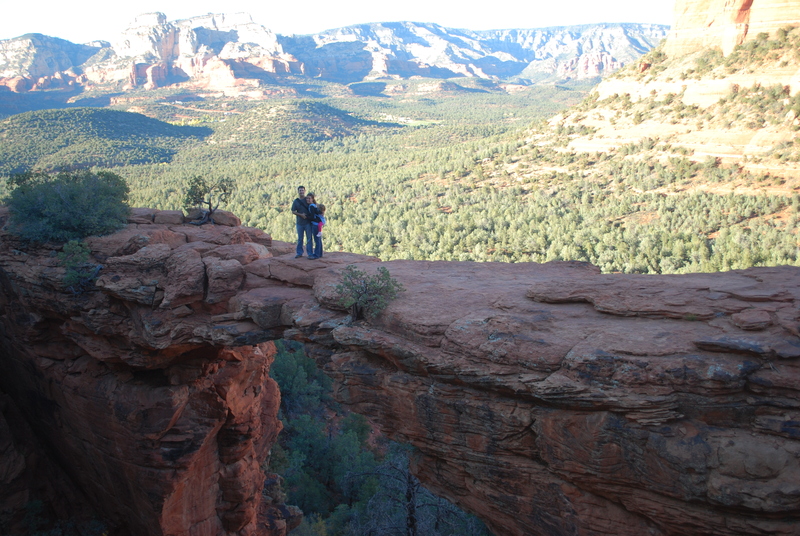 She had planned for us to go to Zoo Lights at the Phoenix Zoo, the Lowell Observatory in Flagstaff, and Devil’s Bridge in Sedona. If you know me, I love an adventure, especially if that means getting to be outside and do some hiking. As for exploring in the cold, though, I’m not a fan. 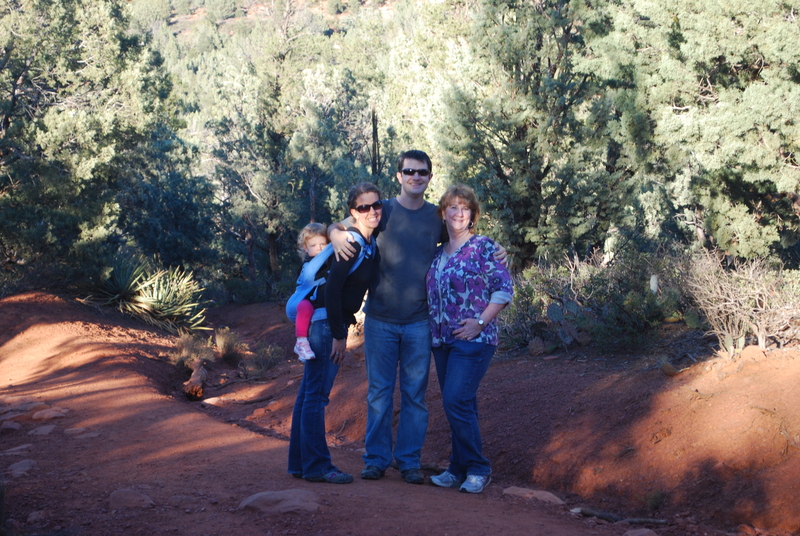 For our first stop, we headed north towards Sedona. 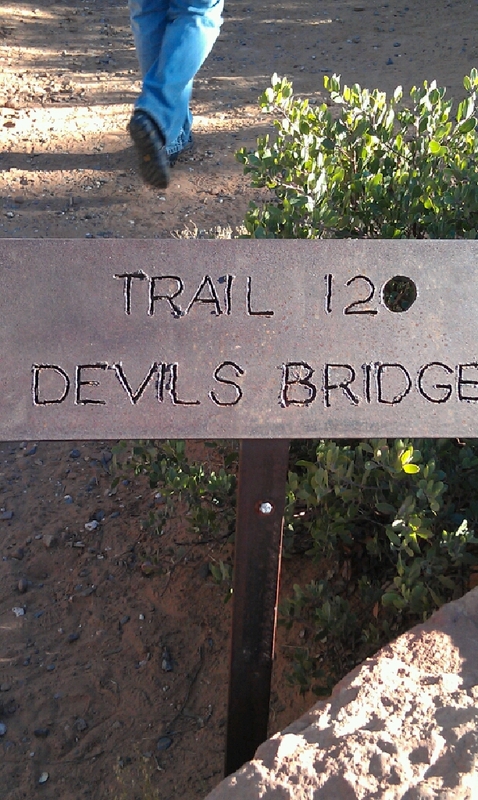 Josh’s mom really wanted to show us Devil’s Bridge and was determined to make the hike. Emma, I will say, was quite the trooper, walking like a big girl for a while, then wanting to be carried (or rather we carried her because of all the cars). I ended up babywearing her in my Ergo, since we were in a bit of a rush (the sun was setting), and we wanted to make it to the bridge. We didn’t come this far to turn around by George. Overall, the trek was up 4,600 feet up and about three miles total. My biggest concern was Emma having to pee-then what? Luckily, she didn’t have to, either because she didn’t drink enough water (no bueno), or because it’s so dry up there. I have to say, baby girl did very well; she didn’t complain once. I think she was just happy to be close to me and on an adventure. It did get a little rough at one point. There was a 400 foot vertical that we had to climb up before we could get to the bridge, and it wore me out. 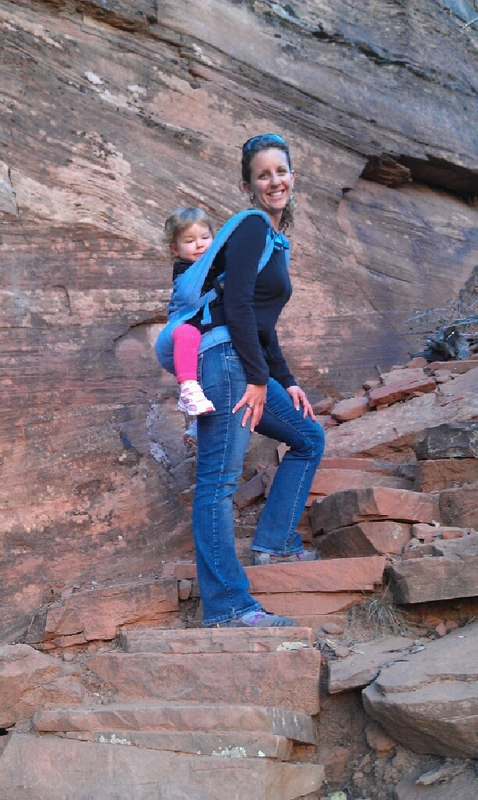 I was determined to make it all the way up there and back, and Emma was going, too. Woah! I don’t usually get nervous with heights, but when another human being is on your back, you start to think about what ‘could’ happen. Looking at the bridge from the front, it seems narrow, but when you come right to it, it’s much wider (and made me feel safer). After we made it back to the car, we loaded up and went farther north to Flagstaff, to the Lowell Observatory. 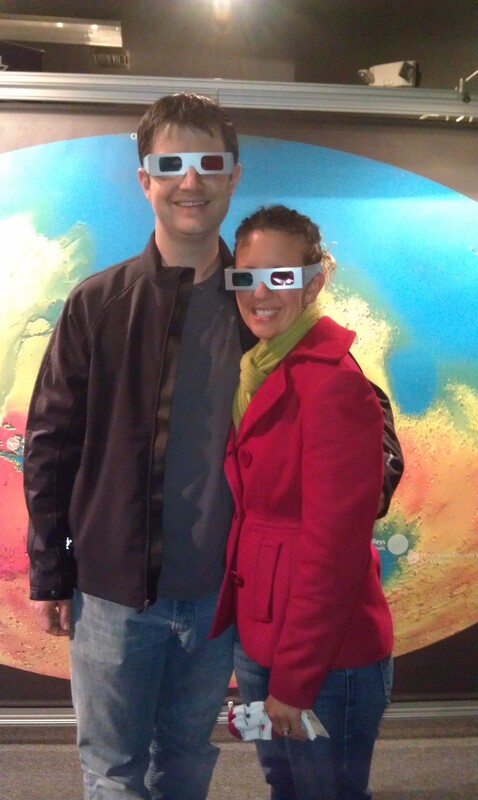 We got to see the stars, and look through their huge telescopes at Jupiter, Uranus, and the moon. It’s crazy to think how far away they are, yet seem like a tiny speck when seen through a telescope. Thankfully we brought enough warm items to hold us me for a few minutes. Ha. I was freaking freezing and Josh was loving it; I swear that guy loves it. When we couldn’t take the cold anymore, we loaded up in the van and went to get some grub. Thanks to my trusty Find Me Gluten Free App, we found a few places in their downtown for me to eat. The frustrating part was that the restaurants thought it was a fad. We finally settled on Mix, after being unsuccessful at Bigfoot BBQ. It wasn’t until I watched how they prepared my sandwich, on the same grill as wheat bread, that I spoke up. I told them I couldn’t have that and would pay for it anyway. They suggested having the bread cold, which wasn’t that bad, and fixed it in a safe place. It gets disheartening trying to be safe when going out to eat. Can I just lock myself in my room, please? 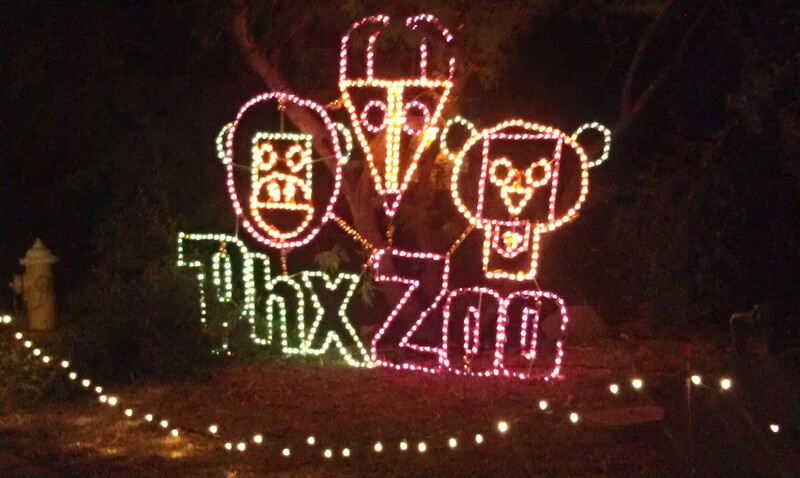 On Thanksgiving, we drove over to the Phoenix Zoo for some amazing ZooLights! 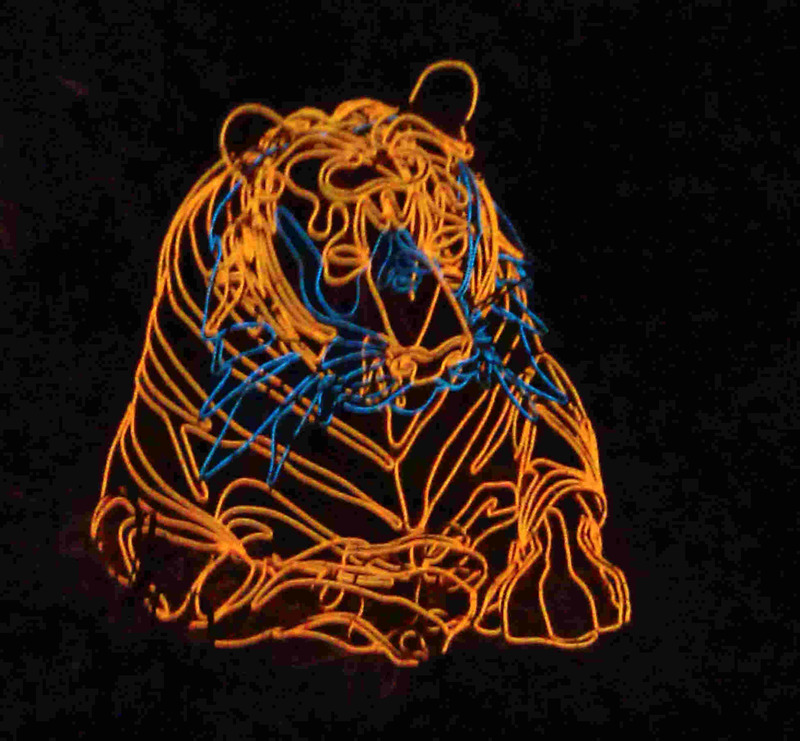 They have over 1 million lights and even had a light show choreographed to Trans-Siberian Orchestra. Emma and her cousin, Alex, had a blast looking at all the animals and watching us on the ice slide. It truly was the highlight of our trip! I’m pretty sure they were sad to leave, but once it again, it was cold. Who knew it got so dang cold in Arizona? Not this Texas girl. All in all it was a wonderful trip! I can’t wait to go back and eventually make it to the Grand Canyon. We’ll have to make sure we bundle up and get out there in plenty of time to take it all in. What about you? Have you ever been to Arizona? Did you know it could be so pretty or had so much to do? If you’re like me, all I could think about was how dry it is and the lack of greenery that exists. Hopefully that state will win me over yet.